I have the pleasure of introducing you again to Anthony Losanno. Anthony has become a friend of mine since meeting on that website, twitter. We both have a love for good food, and he has guest posted here before for the SWEET event, Food Network Wine and Food Festival, Godiva Event at the South Beach Food and Wine Festival and the opening of Le Palais Des thes Soho. It is always fun to find someone who you share a passion with, and is a great person as well. 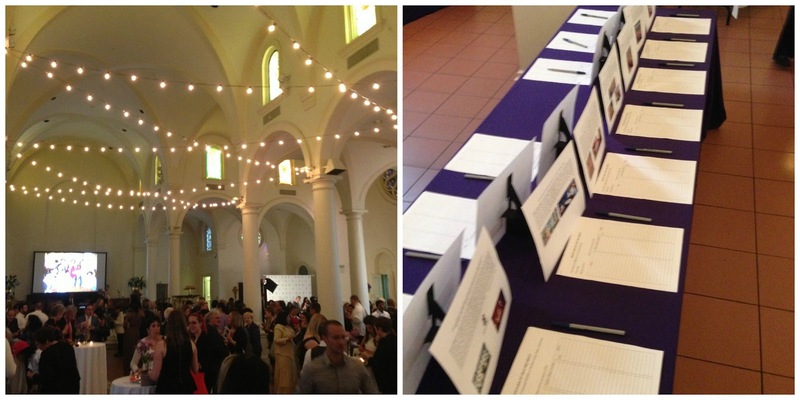 Anthony was attending the From Farm to Tray event, and was kind enough to give us a little report of the festivities. What’s not to love about an evening of food, music, a silent auction, and all of the proceeds benefiting a really great cause? I attended From Farm to Tray at Holy ApostlesSoup Kitchen . This organization does some incredible work in providing over 1,000 meals daily to hungry and homeless New Yorkers. Stop and think about that. It’s quite an incredible feat but this commendable act happens daily with Holy Apostles having served over 82,000 meals this year alone. From Farm to Tray brought together a roster of celebrated chefs with the challenge of creating a menu of using fresh, sustainable ingredients that originated from within 100 miles of New York. Organizer, Sara Pandolfi of www.saradish.com and her team along with sponsors like Starwood, Whole Foods, and restaurants like One if by Land, Two if by Sea, Spoonbread, Peels, Freemans, and Park Avenue Spring outdid themselves to create a memorable evening and raise a lot of cash to help the soup kitchen keep feeding those in need. Preston Madson and Ginger Pierce of Freemans, Peels & Isa grilled up beer brined Haloumi cheese and smoked sausage on a sourdough roll. Yvan Lemoine from Season 8 of Food Network Star brought together two of my favorites in a duck terrine and chicken liver mousse dish. Holy Apostles’ own chefs whipped up their own dish, a tasty peppered Salisbury steak slider with mushrooms, green peas, and sherry vinegar. One if by Land, Two if by Sea served up a Long Island razor clam and Maine uni duo (this is on the restaurant’s appetizer menu if you want to taste it for your self). Norma Jean Darden of Spoonbread offered up fried catfish and collared greens accompanied by one of my favorite foods…cornbread. Cocktail Caterers brought creamy polenta and herb cake with a spring mushroom ragout. To end on a sweet note, SoCo Creamery served up a variety of ice cream. I tried the chocolate love and the sea salted caramel. Both were delicious. The evening ended with a silent auction with prizes ranging from hotel stays, restaurant gift certificates, art, Broadway show tickets, and more. I won a giant hatbox filled with one of my favorite brands of chocolate – Vosges Haut Chocolat . If you’d like to donate to Holy Apostles Soup Kitchen, you can by texting “HASK” to 91011 with a pledge amount. *Disclaimer: There has been no monetary compensation for posting this content. Brands mentioned are not affiliates or sponsors of this blog post. The opinions expressed are completely based on the author's experiences.